Sorry for responding late. TOPOS, under the charge of their Design Director, Alan, provides a holistic and comprehensive solution to our house project. Handling the entire family of individuals was not an easy feat but the end product, nevertheless, turned out to be a well-executed design. 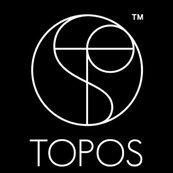 The team at TOPOS was also able to manage various trades of people working on our place without cracking under pressure, in spite of a tight timeline. Their performance was highly commendable!